What is the first thing you do when you wake up in the morning? Before even drinking coffee, you more than likely pick up your smartphone to read the emails, check Facebook updates or look for promotions and special offers on your favorite products. Surfing from one app to another. 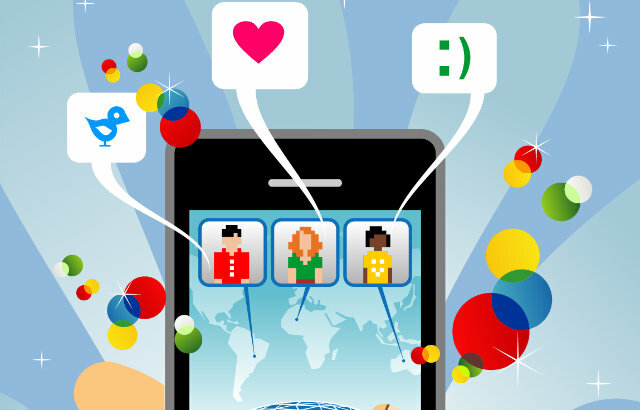 Apps are now an integral part of our daily life as human beings and customers. Mobile app marketing, thus, becomes fundamental for your brand to understand where (and how) to invest to improve customer engagement and boost revenue. The main reference for the realization of this article is a recent research on consumer app acquisition and usage behaviors, conducted by Google in partnership with Ipsos MediaCT, with the aim of understanding the drivers behind app discovery and engagement. Apps market is still a field full of opportunities but, as the number of competitors continues to grow, the real challenge is to prevent that your app simply disappears in the ocean. Sure, app store optimization is the first mandatory step to ensure that customers can find you; but even a well-conducted optimization process is not enough. You need something more: even when your app gets downloaded and installed in your customer’s phone, it doesn’t mean you are hitting the target by delivering a great customer experience. Downloads might be an eye-catching key performance indicator but they rarely tell the truth about the success of your app. To move on, let’s take a step forward. Why should you invest on branded app development in the first place? Easy: apps now account for 86% of the time spent on mobile devices, replacing web browsers as the main entrance to the Internet. In a marketing perspective, that means a unique opportunity to build deeper relationships with customers. In the era of Micro Moments, apps play a key role in what Google has called the ‘I want’ moments, driven by specific intents and decisive for online and offline purchases: I-want-to-know, I-want-to-go, I-want-to-do, I-want-to-buy. Mobile app marketing should not be confined into the online ecosystem, as it has extended consequences on your traditional marketing strategy, influencing the offline retail customer experience. Mobile devices help you bridge the gap that separates the physical and digital worlds, connecting with customers/prospects to enhance their loyalty. Nearly 90% of users discard an app if the brand fail to engage them. In the best case scenario, customers open your app once in a while and devote less than one hour per month to it, if you’re not Facebook, YouTube or Instagram. With few apps getting the highest share of attention, you definitely need to learn the rules of mobile app marketing to stand out and encourage long-term user retention. When you plan your mobile marketing strategy, you might be led to believe that the app store is the main source to find new apps. Data show instead that apps are often discovered outside the store: 52% of customers becomes aware of an app thanks to the opinion of friends, family or colleagues. Only 40% actually browse apps on the store, 24% directly goes on the official website, while an interesting 27% bump into them while looking for information on a search engine. The connection between search engines and app discovery is probably the most useful insight of the entire report. Search is especially effective for technology (43%), travel (35%), and local business (34%) apps. If the organic search leads 1 in 4 downloads, you can also rely on search engine marketing to increase the adoption rate: search ads have become the main driver of app download (50%), followed by social advertising (49%). Be sure to be reachable wherever customers are looking to discover apps relevant to their interests. The top reasons why users decide to download and install an app are recommendations by their trusted circle of friends/family and the perceived level of fun/interest. But the actual decision is mostly influenced by price: 82% of users indicate prices as the main factor, followed by description and reviews (60%). How much are they willing to pay? Not that much: 3 in 4 actually expect that your app is free; they are willing to pay only for technology, financial and local apps (and no more than 3 dollars anyway). What makes one app successful and another one nonperforming? The ability to make customer’s life easier. This is the key attribute of frequently used apps (63%), together with clear instructions (63%), appealing design (57%) and consistent user experience across devices (57%). You should focus on these features to increase app spending: 50% of customers use the app to help make purchase decisions, scanning for information (49%) to actually buy in-app virtual goods or in-store products/services (29%). Even when your app effectively responds to customers needs (let’s say a purchase), it could be abandoned after few sessions. 38% of users are likely to download an app when it’s required to complete an action, but 50% of those will uninstall it right after action is performed. More, 25% of installed apps are never used because of a sudden loss of interest. There’s a huge opportunity here, if you know how to maintain engagement: discounts, bonus contents, exclusive features. Only incentives will foster customer engagement and prompt renewed app usage. A customer-facing app is critical if you want to reach – and exceed – your business goals in an era defined by mobile technology. But if you just throw a badly-shaped application to the stores you will only prepare the ground for inevitable failure. Maximize your presence and keep customers engaged: the app is a piece of the customer journey, not the final purpose of your marketing strategy. Read the full report on Think With Google.